The savvy writer knows it’s not **just** about the project, but its following online that helps drive interest, thus sales. Publishers, producers, networks and film companies now talk of “transmedia distribution strategies” or “multi platform writing”. This creates ways of ensuring the story can go “beyond” its source material, especially online via social media, which has essentially become the modern “word of mouth”, drawing in projects’ potential target audiences. It was with this in mind I created the transmedia series, LIZZIE’S DIARY, going live on Twitter and Facebook on March 1st 2014, to support my novel, THE DECISION: LIZZIE’S STORY , also published in March. Already, my transmedia efforts have a following of about a thousand people, so how can you create similar, WITHOUT having to resort to buying them? I cannot stress this enough. Most authors and filmmakers create a project, then launch it into cyberspace to the sound of **crickets**. You need to create a sense of anticipation BEFORE a project comes out and yes, this can include before it’s published or produced! Why not? It might even make your novel or screenplay more attractive in the marketplace. More on how to do this, next. If you have minimal or zero platform online, know this: you need to be EVERYWHERE you possible can. You should have a website, Twitter and Facebook as an absolute minimum – and make sure you and your project are easy to find. If you have an existing platform, like I do with B2W, feed your new project INTO that one: I chose Twitter and Ask.Fm, plus Facebook as The Decision Book Series and Pinterest as The Decision: YOUR Story. Link up all your various social media profiles, so if you update Ask.Fm, Pinterest, or whatever it will also update on Facebook and Twitter automatically. Don’t worry about this being “too much”. It isn’t (and anyone who says it is will unfollow you anyway, don’t sweat it). A no-brainer. This may include friends of yours (both real life and online), or it may include organisations that campaign on the issue you write about. I have teamed up with teen pregnancy/pro choice allies like @prymface @TracyEngelb and @NatashaVianna on Twitter, but also Paul Irwin’s amazing YA “Try Life” web series on Facebook. Blog-wise, amongst others, I’ve asked Hayley to host this guest post for me. Thanks Hayley! Another no-brainer. The average Facebook user apparently has 200 friends, so invite all of them to your page for starters. Link your Facebook page and Twitter account. Share interesting content from anywhere (ie. links) that form part of your project’s remit. In my case, I predominantly started off sharing articles about teenagers and social issues. 5) … NOW Identify your target audience. After launching my social media profiles for my project, I took a look at the page’s “insights”: this is on the admin bar at the top of your page and tells you who your audience actually are. Unsurprisingly, at first the majority was not teenagers, but my age group … But THE DECISION: Lizzie’s Story is a YA book, so where to find young people? Answer: research. I discovered the majority are on Twitter, using hashtags like #teens #teenagers and #teenageproblems or on Ask.Fm. I read everything they were posting for ideas. Quite an education! 6) NOW start tailoring your approach. I started to up the frequency of the links I shared on these subjects, but after seeing a number of retweets and shares for photographs with quotes on, I started to do those, too – and discovered my “online reach” went up by about 300%!! In other words, knowing your target audience pays dividends. 7) Give followers an opportunity to engage – and engage with them. Ask questions, or for people’s thoughts on various subjects and situations. Use hashtags to open the door further and bring people to your project. Don’t ignore your @s and comments; even if it’s just to say “thanks”, DO IT. If someone is angry or disagrees, don’t accuse them of being a troll or block them; talk to them, but know where to draw the line. Did you know that most RTs contain links? Or that if you write the words “please retweet”, you’re more likely to get one? Or that the majority of Facebook shares are infographics, photos and cartoons? Or that Pinterest has people pinning every imaginable niche interest going? Or that adults like the questions on Quora, but teens prefer Ask.Fm? Or that there’s a hashtag on Twitter called #TeamFollowBack, the etiquette being that if you follow a person with that #, they HAVE to follow you back? Or that some people will “hate read” your content, just so they can complain/counter everything you post (who cares, it’s a follow)! It’s all about research, again! Don’t skimp. 9) … But don’t ever SPAM. Cross posting is fine and even desirable in various groups, as long as you follow the rules (if applicable … Though do know sometimes admins will be jobsworths because they can). Don’t ever copy and paste @s on Twitter: people will BLOCK you. It’s also counterproductive to post to people’s individual Facebook walls on a regular basis without an agreement in place first. Also, try not to post the same pictures or text over and over again if you can; try and mix it up. MORE: 6 Ways Not To Annoy The Crap Out Of People Online. But most of all, be INTERESTING. And people will follow your project! BIO: Lucy V Hay is a novelist, script editor and blogger who helps writers via Bang2write. She’s one of the organisers of London Screenwriters’ Festival and associate producer of the Brit Thrillers DEVIATION (2012) and ASSASSIN (2014), both starring Danny Dyer. 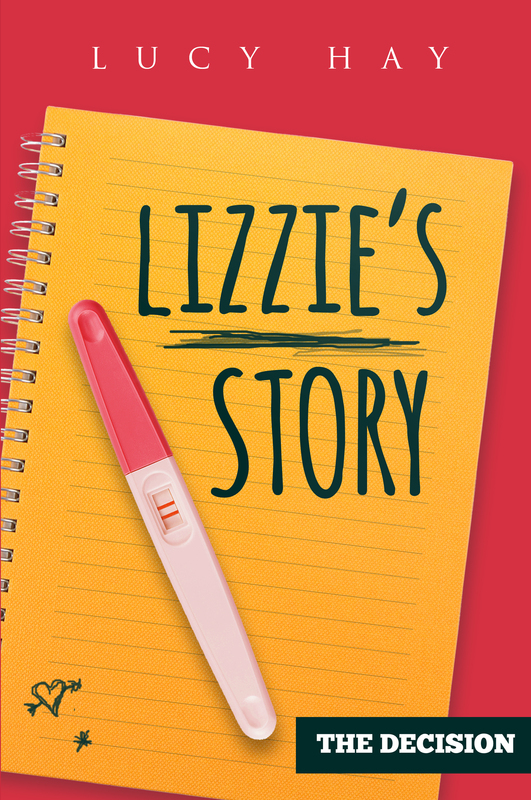 To keep up with LIZZIE’S DIARY, “Like” the Facebook page.